One of my favorite colors, other than pink, is maroon. I love how deep and rich in red it is. I think it’s suitable for any hair color and is just a great complimentary color for anyone. The sweater I am wearing, I honestly could not tell you where I got it from. I want to say possibly Walmart, but don’t quote me on that. It’s actually a few years old and I hardly wear it. My favorite kinds of sweaters are the ones that go all the way down your back and this one just comes to below my belly button. I’m totally not dissing it in any way because it’s super warm, but I just like to be a little more cozy in my sweaters. 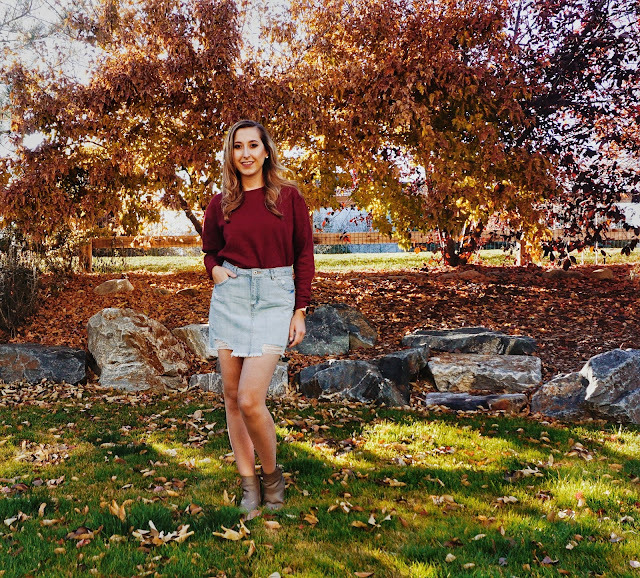 Here are some other cute maroon sweaters at Kohls (click here) and at JCPenney (click here). The skirt is from Ross. I totally love it because it’s long but not too long and it’s also ripped which is just super trendy right now. The fit is pretty comfortable and between me and you – since I lost weight, it fits even nicer lol! Here is some cute ones from Forever 21 (click here) and Love Culture (click here). 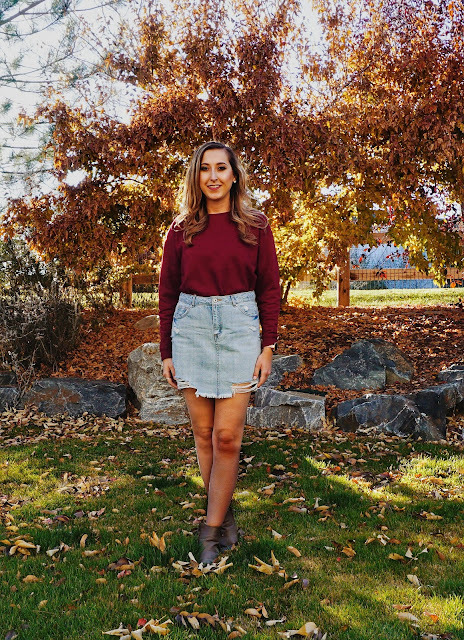 My boots were from Rue21 and are no longer available, but click here to find some alternative ones from Charlotte Russe and click here for some from Target!